Romano has been informed he won't make the Rangers' roster, T.R. 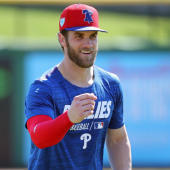 Sullivan of MLB.com reports. As a Rule 5 pick, Romano will now have to be offered back to the Blue Jays. He failed to make his case for a roster spot after recording a mediocre 6:5 K:BB in 9.1 innings this spring.